This audible recording of an alleged JSS (Jewish Sonderkommando Survivor) or SS (Sonderkommando Survivor) seems to be first audible confirmation ever made. 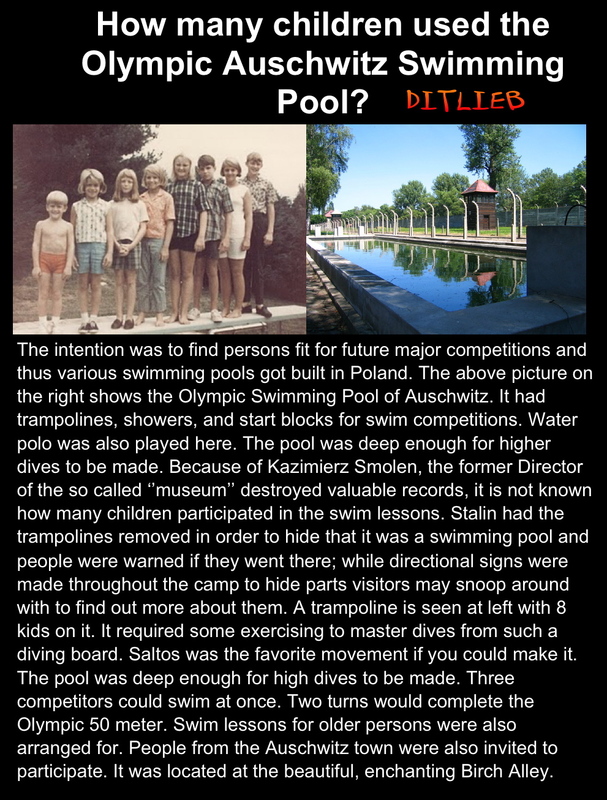 Confirmation of the Auschwitz Swimming Pool was made on the Merle Pollis talk show on WJW850, in Cleveland, Ohio, USA, on September 23, 1982. Hence, more than 30 years ago. A few years after, on March 1, 1985:7, in Canada’s Globe and Mail, the first establishment media picture was published on the Auschwitz Swimming Pool.